As (some of) my children become teens, learn to develop relationships with others, forge their ideals and identity and face various challenges, I wrote this (along the lines of the wonderful Desiderata) as a guiderail for their journey. Just a quick note today to say that I have a new post called Get out of your writing head up on Writing.ie. And great news from one of my Mother Writer Interviewees, the lovely Colette Caddle. It’s publication day for her new book Always on my Mind. Check out her site for a great competition to win her new book. Chris Mosler describes herself as an ‘over stretched, thinly spread mother of 4 writing, teaching, tutoring and parenting’. She is also a blogger (Her popular blog Thinly Spread is a finalist in the Mad Blog Awards), professional photographer and copywriter.. She was recently asked to travel to Mozambique with Save the Children and is now a digital ambassador. She lives in Somerset, UK with her family. I have four children aged 5 (boy), 11 (girl), 13 (boy) and 15 (boy) and a gorgeous husband who I met 23 years ago and have been married to for 17. You are a teacher, blogger, writer, and professional photographer and copywriter, as well as raising your family. Does it get…erm…busy. How do you juggle everything? It’s very busy but I now have time during the day while they are at school which has made things much easier and means I don’t (often) have to work into the night. I’ve had to learn to be organized and have a wipe clean whiteboard in the kitchen where I jot down what everyone has to do during the day otherwise it could all go horribly wrong! The older ones are pretty good at organizing themselves now and the oldest one of all organizes me! Tell us about your blogging and writing, your blog Thinly Spread, is gaining recognition among parenting blogs and you also write fiction. The blog has been a revelation to me, I’ve only been at it for 16 months and it has gone from strength to strength. I started it to showcase my writing but I’ve enjoyed writing it so much it has quickly gone beyond that. I did get copywriting work off the back of it (I wrote the Timberland Family Club website) but it is the sense of community in blogging and the sharing of ideas which has brought me most joy. It is fabulous getting an instant reaction from readers and having a dialogue with your audience! I am a finalist in The Mad Blog Awards for Best Blog For Family Fun which I am really chuffed about. I was blogger of the month on Tots 100 and Blogger of the week on Britmums last month which was really lovely. I love writing using my parenting and teaching experience and people seem to like reading about it! My fiction work has taken a bit of a back seat as I strive to set up a career which fits around my children and earns a bit of money. I have run writing workshops in the past but I’m not at the moment as I find it stifles my own work a bit while I’m trying to encourage other people’s creativity! I write short stories, some poetry and I have 35000 words of my first novel marinading under the bed! 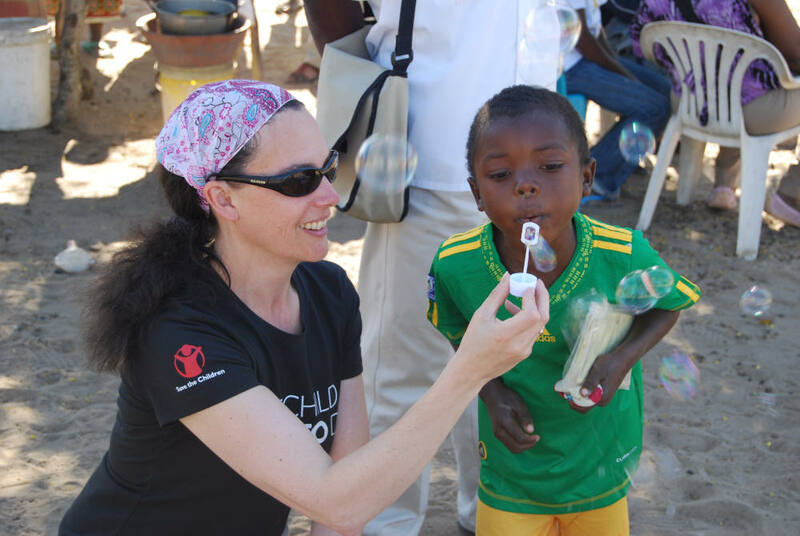 As if your life wasn’t full enough you were recently chosen to go as part of a team to Mozambique with Save the Children, how did that come about and what was to be your role there? I was asked! I have gained some recognition in the parent blogging community for ethical blogging and I attended the Save the Children blogging conference earlier this year but it was a complete surprise when I received an email from them asking me if I would be interested in travelling with them to follow a vaccine along the cold chain from city warehouse to rural community and into the leg of a child. We went to raise awareness ahead of last week’s GAVI pledging conference where world leaders were deciding how much money to invest in the vaccination programme. My role was to blog like mad and whip up a social media storm to get as many people as possible to sign the Save the Children petition to persuade them to save 4 million lives in those 4 hours…and it worked! It must have been an amazing and emotional experience, what were the key moments of the trip? It was incredible. Meet ing the women of April 7th clinic (I arrived by motorbike following the vaccine) was life changing. Vaccinations literally mean the difference between the life and death of a child living in those circumstances. 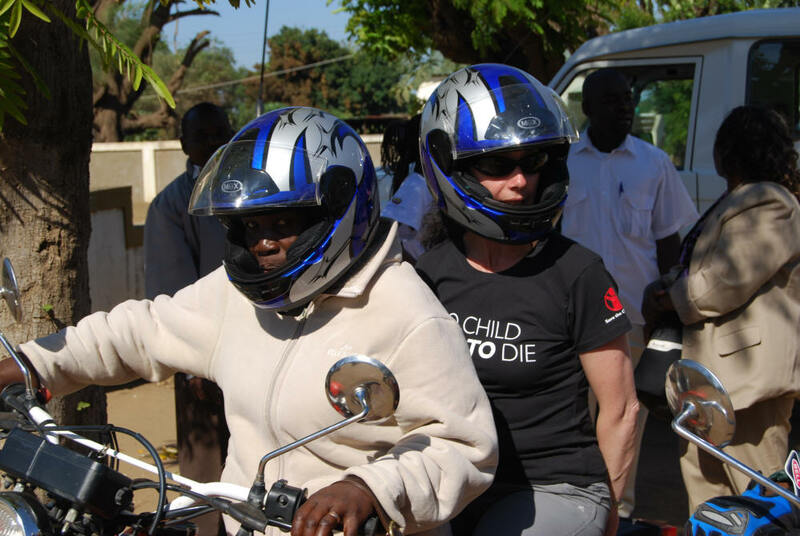 If a child gets ill with measles the mother would have to walk back along the rough track it took me 20 minutes to travel by motorbike carrying her child before she even got to a road. Then she would have to wait for an overcrowded (jammed to bursting) mini bus to take her the long distance to the nearest hospital (at a huge financial cost to her). When they reached the hospital there is no running water and the chances are if her child survives what s/he went in with they will come out with something else. These are killer diseases, we take vaccination for granted in this country but 1 in 5 children worldwide receive no protection at all and they are, in the main, the children living in the poorest, most difficult circumstances. The women I met were just like me, with the same dreams and hopes for their children. They shared their children with me (I blew bubbles with them and played, it was lovely) and I showed them photos and videos of mine on my Iphone. 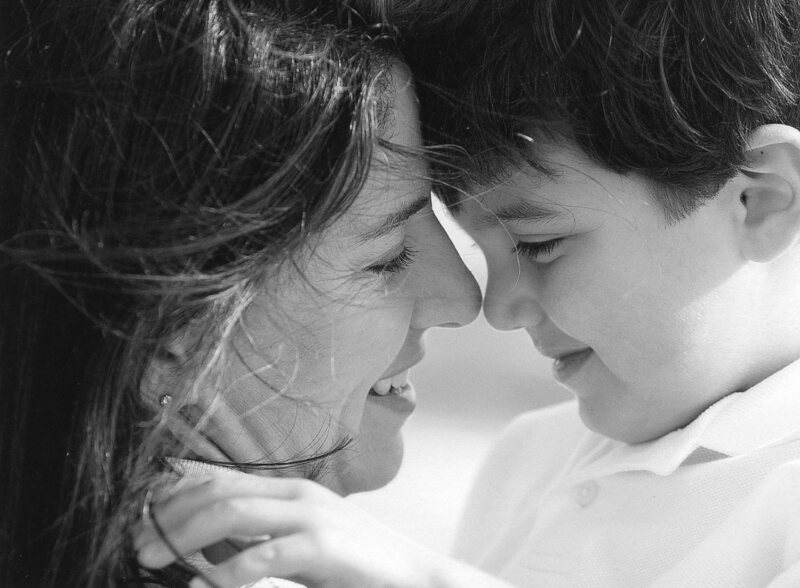 We didn’t speak the same language but the language of motherhood is universal. I saw children dying in Mozambique, I was a shouter before now I am yelling and, thankfully, it is now possible to be heard. Social media is a wonderful thing! When you returned from Mozambique there was still more to do, tell us about the GAVI vaccines conference and meeting some famous and influential people there. I visited the Department of International Development and had a meeting with the Secretary of State Andrew Mitchell to talk about my trip and show him photographs and also some of the letters written and pictures drawn by children in support of our campaign. I met him again at the press conference when the vaccination funding announcement was made and he thanked me for all the work I had done, which was very nice! I went to Downing Street to deliver the petition ahead of the conference. I was on telly a lot…the ITN lunchtime news, Daybreak, Local TV and Radio and the Politics Show and in the press. On a personal note I was delighted to bump in to Alan Titchmarsh very early in the morning at the Daybreak studios and to have a cuddle with him and a photo taken. I love gardening, write about it a lot and have watched Gardener’s World avidly for many years. If I could now meet Monty Don my life would be complete! How do you think your experiences will feed back into your life now as you return to the bustle of daily living and how did your children relate to your trip? Settling back in to life in the UK has been hard. The excess and advantage is deeply unfair. I have tried hard not to over burden my children who have been staunch supporters of the campaign and waved me off with pride but it is hard not to say ‘You have no idea how lucky you are’ all the time. I have come back with a deep respect for the women I met and I shall be writing about them in one way or another for many years to come. 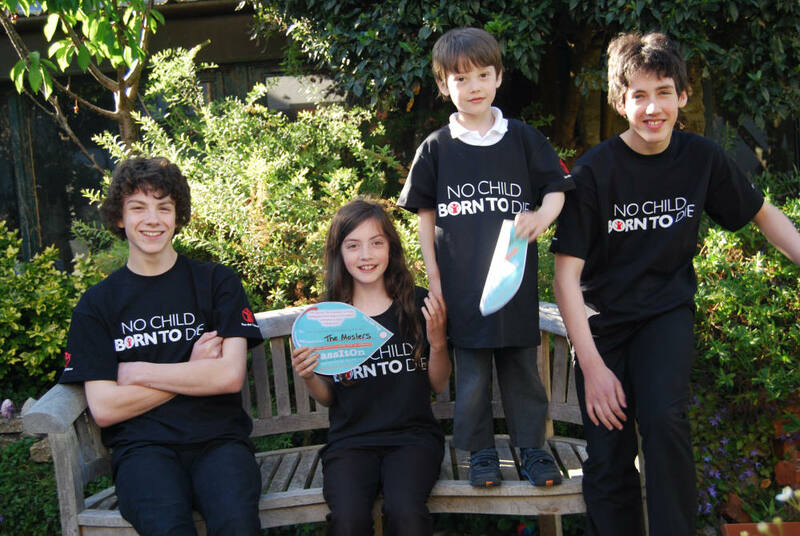 I am now a digital ambassador for Save the Children so I am maintaining my links with them which I am delighted about. Is there any message you would like to give people based on your experiences? The written word is a powerful one and with the enormous potential reach of social media and the internet there are enormous possibilities for social change. We reached nearly 30 million people with our twitter campaign. Never think that your voice doesn’t matter, that it won’t be heard because it can be…it’s astonishing! And what advice would you give parents juggling life, writing and other work? Do what you enjoy. Make time for the bits you love and let the other stuff go if needs be. I rarely iron, my house is a mess but we survive! Thanks so much Chris for talking to us, and for a really inspirational interview. If you enjoyed this interview, click here for more. Chris’ regular blog Thinly Spread is an excellent blog on parenting with regular features such as Silent Sunday, Something for the Weekend, fabulous recipes and things to do with the kids. The Gates Foundation featured one of her posts from Mozambique which was very exciting she tells us. She also vlogged on In the Powder Room http://www.inthepowderroom.com/archive/2011/05/ while she was in Mozambique. Anne Tyler Lord lives near Minneapolis, Minnesota with her husband, ten-year old twins, four cats and one dog. She has been a stay-at-home mom for almost a decade and recently returned to work part-time as a child and family therapist. During her time at home, she launched a writing career. Anne is currently working on a novel based on events from her family’s history on Iowa farms. She also writes non-fiction about creativity, parenting and educating gifted children and speaks at conferences. 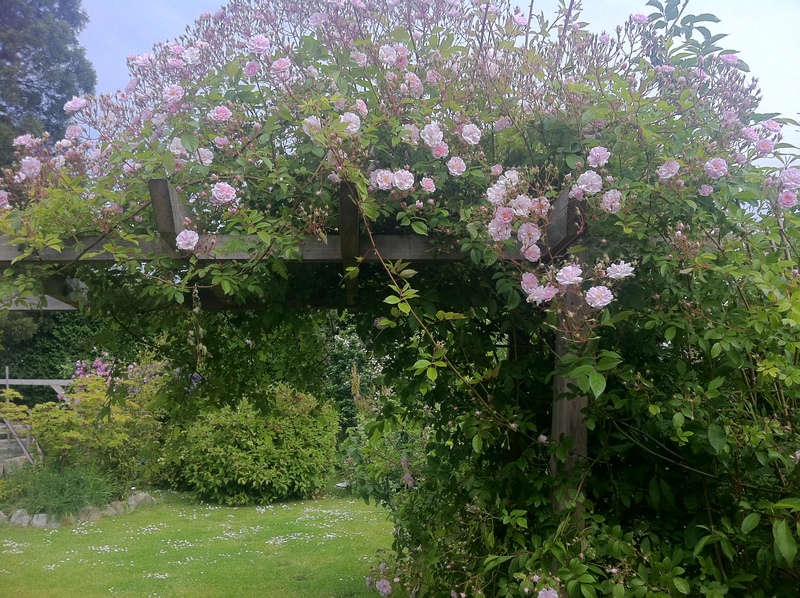 Anne writes a regular feature on her blog, The Writer’s Life, that discusses the wild and wacky life of being a writer and what inspires creativity. Coming this summer (2011), Anne will feature a series on her blog about sustaining energy and joy in the creative process for writers. And, she will be offering online coaching to those who want to put the fire back into their writing life. How many children do you have Anne, and what age range? 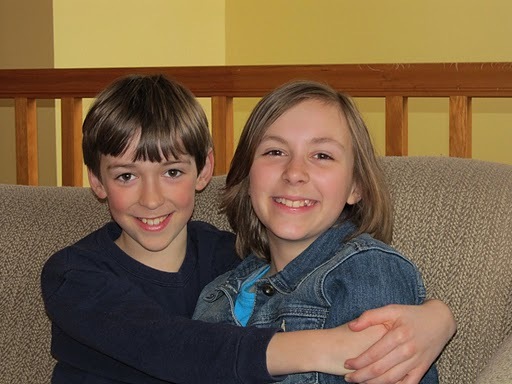 I have ten year-old twins, Sophie and Sean. Sophie is an aspiring writer who loves Sci Fi and fantasy. And, Sean, is an aspiring graphic novel writer and illustrator who loves all things adventurous. My husband is our tech guy and lovingly supports our careers. When did you start writing? Had you established a writing rhythm or career before or did it happen alongside the kids? Although I wrote nonfiction and technical research in my career before kids, I began writing fiction when my twins were about two years old. Or, I should say, my desire to write fiction began at that time. I refer to it as my writer interruptus phase. I remember reading The Artist’s Way by Julia Cameron. She talked about how she wrote productively when she had an infant, and I marveled. I wished I could do that, but I was just beginning to write and find my voice. I didn’t feel like a writer, but every phase in a writer’s life is important, even the difficult times. I’m glad I didn’t give up. Today, I am continually adjusting my writing times and projects as our lives change. I am learning to be more flexible with the ebb and flow of our lives. What impact has having children had on your writing career? I had children later in life (age 35), and I decided to stay home. Although I was physically exhausted much of the time, my mind had new freedoms. In a strange way, my overwhelming life of caring for children also supplied me with the energy and passion to start writing. Is it possible to maintain a balance on a daily basis or do you find yourself readjusting focus from work to family over a longer time-span depending on your projects? I definitely adjust over a longer time-span. I prefer (and only feel capable of) focusing on three to four big things at once. I have chronic pain conditions and recently went back to work part-time in my career. I had to slow down in other parts of my life. This meant less blogging and online time to have enough writing and family time during the transition. I always have plans in the near future to be able to use my super powers to multitask. I have just misplaced my magic wand. Taking it day by day has been the best plan for me. How do the children react to your writing or the time you spend on it? There have been moments when my children felt I was on the computer too much. It can be hard to quit writing when the muse is animated. But, I have been sensitive to their needs and moved most of my writing time to mornings, school time and weekends. At times, I involve my kids in the writing process. They have helped with research when a project interests them, and they follow the adventures of some of my characters and give feedback. They joined me for NaNoWriMo this past year and it was exciting to see their love of writing grow. What do you find most challenging in juggling your role as a mother, your writing and your job? There are too many voices in my head competing for attention. The voices that start sentences with, “You should…” are the most annoying. I often have to remind myself to back away from the monkey mind and relax. This allows my character’s voices to come through more clearly. Something has to give when wearing many hats, what is it for you? Housework and cooking. I manage my fair share (sort of), but luckily my husband cooks and does housework. Maybe he will find my magic wand next time he cleans up. What suggestions do you have for mothers or indeed parents who want to write or further a writing career? As mothers, we care for our children, home, career, and a bazillion other things. Often we put ourselves last, and hunting for time in our schedules to write is a never-ending task. But I have learned a secret that seems counter-intuitive. In addition to the managing my schedule, I give even more attention to filling my personal fuel tank of life happiness and joy. States of mind such as guilt, procrastination, burn-out and even constantly being stuck in the mode of Mama Task Master can arise out of the feeling of lack, when something is missing in our lives. It is easy to assume that finding more writing time will solve the problem. However, it may not be our busy schedules, but rather emotions that are overwhelming us. These negative feelings take a lot of energy to maintain. Often, this experience is what can derail our writing life and cause blocks. The solution is to fill our fuel tank with activities and events that are rewarding and embrace every moment of fun (don’t think about other tasks, or that you should be writing). We all strive to work hard, but don’t forget to play hard, too. Your children will show you how: Get messy, laugh, dance to music, go places, get lost, play with you kids and smile at their beauty, curiosity and goofiness. One activity I do with my children that has spanned over several years is a regular story time when we create characters and stories. This has lead to many art projects and plays. Your personal fuel tank of happiness and joy is the same place where creativity springs forth. When your tank is full, writing time appears and is much more productive and creative. Fully engaging in creativity and fun with my family has been the best cure for my guilt and episodes of writer’s block, and has been a source of great joy and inspiration in my writer’s life. Thanks so much Anne for that wonderful interview and all the best with finishing your novel which sounds really interesting. I met Anne through twitter and I must say that as a person and also through her wonderful writers_life site both I and many other writers have found her to be a very inspirational and encouraging woman with an energetic and happy personality. You can follow Anne on twitter @AnneTylerLord or her excellent @writers_life twitter handle and #writerslife twitter stream or her website which focuses on writers health and happiness as well as showcasing some of Anne’s writing. Nichole Bernier is a freelance writer based in Boston, and the author of the novel The Unfinished Work of Elizabeth D, to be published by Crown/Random House in early 2012. She has been a contributing editor with Condé Nast Traveler magazine for 12 years, and has written for magazines including Elle, Self, Health, Men’s Journal, Child, Boston, American Way and This Old House. Her family lives west of Boston, and she can be found on Twitter at @nicholebernier. How many children do you have Nichole and what age range? We have five children, four boys and a girl: 10, 8, 5, 3, and 21 months. In a way, it was both. I’d been a magazine writer and editor for years, then went freelance after I left New York and got married. Shortly after my third child was born, the monthly column I’d been doing for years as a contributing editor was discontinued to make room for a new feature. I was disappointed, but also knew I’d been coasting unchallenged for some time, and that I should try something new. A flyer came in the mail for fiction classes at a local writing center, and I had an Aha moment. I started a sample chapter based on an idea that had been haunting me since the terrorist attacks of 2001, and I just never stopped. I took the babysitting time and evenings I’d been devoting to my freelance articles, and gave half over to the novel. It was a leap of faith, but also a growing obsession. One big change is that I used to travel for magazine articles, and that doesn’t happen as often or as easily. Another is that I don’t have a desire to be on staff any longer; I like the flexibility and independence of working for myself. But the downside of that flexibility is that you usually aren’t writing when an idea actually strikes you, so you have to find creative ways to save your thoughts. Being a mother has made me a lot more disciplined, because you have to take advantage of writing time when it comes, and I can’t procrastinate deadlines until the last minute, because you never know what might get in the way. All-nighters aren’t a viable option anymore. Oddly, I’m hungrier about my writing and more ambitious than I’ve ever been, which is a funny thing in the thick of the little-kid years, not what I expected to feel. How do you organise your writing time and space, how do you work your day, do you have a routine or is it more ad hoc? Flexibility is the only thing that’s fixed. I have a beloved sitter three afternoons a week, but that time also goes toward doctor’s appointments, activities and carpooling, and the occasional freelance article. I don’t really have a dedicated writing space. I used to write at home, but I now that there isn’t a young infant in the house I don’t feel I have to be on premises, and I usually go to the library or coffee shop. The generic noises there are less distracting than the sounds of my own home, probably because I’m not emotionally invested in them. There’s also something about being part of the hum of the world that I like when I’m writing. When it’s too much, I go to the library. Is it possible to maintain a balance on a daily basis or do you find yourself readjusting focus from work to family over a longer time span depending on your projects? It’s always in flux, depending on where I am in my manuscript (waiting for comments from my writer’s group, agent or editor) and in the family schedule (holidays and birthdays). If I’m in an intense phase of revisions, my husband occasionally takes over solo duty with the kids for a weekend and I slip away somewhere to work. That’s a completely different writing experience, a timeless place, totally indulgent. They are very supportive. The older three get it, to varying degrees, that I’ve written something that will be in bookstores next year. What’s real and exciting for them is the extent to which they’ve become involved in the writing life, and meeting writers. I belong to the literary blog Beyond the Margins, started by a dozen of us in Boston a year ago, and we have monthly meetings at my house. The kids look forward to these meetings, as well as book parties and readings we host sometimes. It’s personal for them, the people behind the author photos. Being a writer isn’t just a vague concept. What do you find most challenging in juggling your role as a mother and writer practically, emotionally, and mentally? In practical terms, it meant years of giving over babysitting time to something that may or may not pay off financially. That was a hard adjustment after 15 years as a paycheck writer. In mental terms, it means finding the discipline to work when you have the time. The faucet has to go on and off based on the family schedule, not the ebb and flow of your ideas or mood. Emotionally, it’s meant sometimes curbing the inner toddler that wants to throw a foot-stomping tantrum about not being able to write as much as some other writers do. Spending all day on revisions, or traveling for conferences or retreats—those aren’t things that happen easily with family life. That’s when I have to go back to square one and remind myself how lucky I am to know what it is I love to do and pursue it, because many people never do. Your book The Unfinished Work of Elizabeth D will be published next year by Crown/Random House and you’ve had a healthy career along the way, how did this come about for you? There are happy successes and milestones in magazine writing—things like awards and promotions—but they were different from the relief and euphoria of getting an agent and selling a book. Writing the novel was like going into a long dark tunnel, isolating and with little feedback. After four years I got an agent, and a year after that we sold the book — those were huge, after so much time invested. But getting an extremely thoughtful three-page rejection letter from an agent who called it a “near miss” felt like a breakthrough, too. In writing you have to take encouragement where you can, and recognize incremental victories. Do you think women face particular challenges in career/family life balance or is it something that both men and women face in equal measure? That’s a hard question. I think the struggles of balancing family life are felt by both men and women who share homefront responsibilities in a significant way, and I know men who write at home while doing the school bus meet-and-greet thing. Writing fiction isn’t terribly lucrative for most people, and when you have family responsibilities, it can be hard enough to justify time away from the family for writing, and then there’s the uncertainty and guilt of not knowing whether it will even sell. At least I felt that way. Others might be better at valuing it as an avocation whether or not it leads to publication. You have to pick and choose the way you spend your time. I have a theory I call Three Things. Once you have kids, you can pick maybe three-ish things that get to be yours and yours alone. If you work outside the home, that’s one big thing. If you exercise regularly, that’s another. If you knit or belong to a book club or hold a board position at the kids’ school or adore reality TV, there you go. After I had my fifth child, exercise went out the window. I used to be a regular runner, but I no longer made it enough of a priority. I could whine about it and say there aren’t enough hours in the day. But in the end it’s about choices, and if there’s something I’m not making time for, I have to be honest with myself about what else I’m doing. You have to make your writing the absolute best it can be, and find folks who will help you get it there. Find a handful of like-minded writers who will be supportive and honest. Then revise, revise, revise. When you’re ready to send it out into the world, do your homework. It’s so easy now to learn about agents and editors and the query process with all the resources online. On Twitter, for example, you’re hearing query preferences and pet peeves right from the horse’s mouth. Network on social media. Write essays, articles, blogs, clever email, anything that’s a limbering-up exercise to keep your thinking process sharp and your creativity going. But don’t let that become so time consuming that it usurps the actual writing you want to see published. Then get thick skin and be persistent and find a way to keep up your stamina through the rejections. You’re not rejected until you’re rejected a LOT. There are as many reasons for rejection as there are Eskimo names for snow. You just have to find that one agent and editor with whom your story resonates, and who can bring it out to the world. Thanks Nichole for a really insightful, pragmatic and very inspiring interview. What you have achieved is amazing and I wish you tremendous success with your book which sounds enthralling. I can’t wait to read it. If you want to find out more about Nichole read her blog. Nichole is also involved in the excellent literary blog Beyond the Margins, I highly recommend it for original and clever articles. 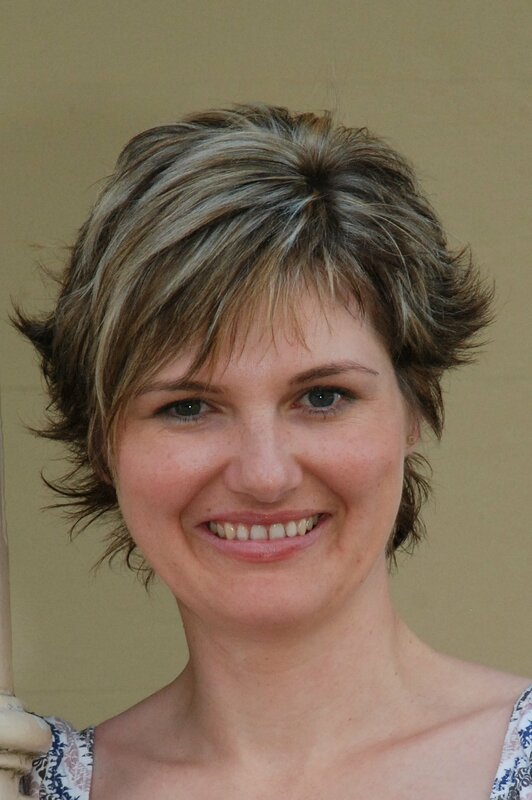 Karen Collum lives in Brisbane, Australia. She was a primary school teacher before she became a mum. Since the birth of her eldest son in 2005, she’s been a stay-at-home mum and now happily calls herself a writer. She’s a mum to four kids under six, with her baby girl arriving in December 2010. Karen has always had a love for words but didn’t quite believe that she had what it took to be an author. She was wrong. 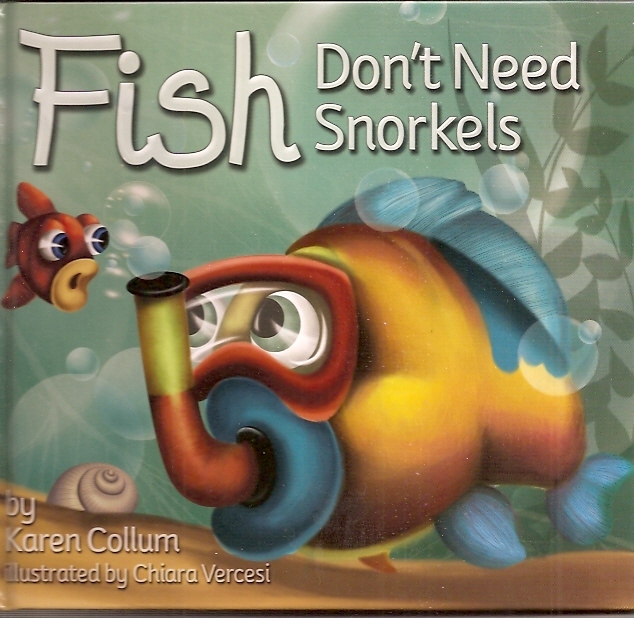 Her debut picture book, SAMUEL’S KISSES was launched in December 2010 and she has since had another picture book published, FISH DON’T NEED SNORKELS. A third picture book will be released in 2011 and a junior novel in 2012. Karen is active in the online kidlit community and is the co-convenor of the Twitter-based picture book chat group #pblitchat. How many children do you have Karen and what age range? I have 4 children. My eldest son (Possum) is five and a half, my identical twin boys (JJ & Moo) are 3 in May and my baby girl (Miss H) was born in December 2010. I didn’t start writing seriously until my eldest son was a toddler. It was while I was at home full-time with him that I decided to take the plunge and give this writing thing a go. It’s the best professional decision I ever made. Once I’m past the newborn baby stage, I’ll go back to getting up early to write before everyone else is awake. We’re pretty strict on wake-up times at our house, so the boys don’t get up until after 7am. My usual habit is to get up at 5am and work for a couple of hours in the beautiful peace and quiet. I used to write late into the night but found that doing so affected my ability to sleep – I couldn’t turn my brain off! Getting up early also gives me a sense of accomplishment for the day. I feel like I’ve had my writing ‘fix’ and can then focus on being a mum for the rest of the day. As for writing space, my husband works from home as well which means we’ve run out of rooms! My office is at one end of the loungeroom. We’re about to move, however, and I’m hoping we might find a house where I can have a space all my own. The other practical things I have done that have made a huge difference to the time I have to write is to create a roster for meals and for cleaning. I clean two rooms of my house a day and that way there is always somewhere that is neat, tidy and sparkling clean. Otherwise I can find myself feeling overwhelmed, which isn’t good for my creativity. The same applies to cooking. Knowing what meals I’m cooking ahead of time means that I’ve got all the ingredients on hand and I’m not panicking about what to have for dinner at 5pm when the kids are starving. I often cook the evening meal in the morning when I’m not so busy and pop it in the fridge. Being on top of the cooking and cleaning frees me up mentally which in turn means I’m better able to write and be creative. I am passionate about picture books and they’re my favourite thing to write, which is a good thing as I can quickly get an idea down on paper and come back to it when I get the chance. I find writing longer works harder (although I have finished a full-length adult novel which is currently being edited) as I find I need longer stretches of time to immerse myself in the story and get back into the flow after a break. A picture book is ideal for me to dip into whenever time permits. I still feel connected to it even if I haven’t been able to touch it for a week or so. A novel is much harder to reconnect with in a short amount of time. As for balance, I’m fairly relaxed so I take advantage of opportunities when they arise but don’t get stressed if the wheels fall off and one of the kids is sick or something unexpected comes up. I think flexibility is really important for my sanity! How do the children react to your writing or the time you spend on it. My boys tend to come and look for me at the computer if they can’t find me!! I sometimes need to put self-imposed limits on the time I’m on my computer because it’s easy to just sneak away when the kids are playing happily. They don’t seem to mind at all, but I don’t want to miss out on precious time with them either. I often try to stay off the computer unless the kids are sleeping. Some days my self-control isn’t very good though. Like today. The hardest thing for me is that I’ve always got a million more ideas for books than I will ever get time to write. Having said that, I think that would be the case regardless of how much time I had. Sometimes I think it would be lovely to go away for the weekend by myself to write, but I have a feeling if I did that I would be missing the kids and my husband immediately! The reality is that I function well when there’s a lot going on and I like the challenge of fitting everything in. I have to be organized and make my situation work for me, and most of the time it does. 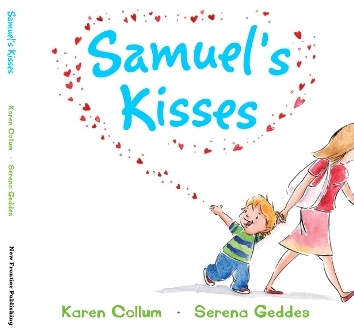 You’ve made breakthroughs, such as gaining acceptance for your picture book SAMUEL’S KISSES. At what stage of family life did this happen? How did you create and maintain the momentum to make these breakthroughs and why do you think they occured when they did? I got my first acceptance for a trade picture book, SAMUEL’S KISSES (New Frontier Publishing, 2010), when my twins were 8 months old and my eldest son was 3. It was such an exciting time. I think the bottom line for my success was hard work. Lots of it. My husband works most evenings and I had all the kids in bed by 7:30pm which meant I had the evening to myself. I put that time to good use by educating myself about how the publishing industry worked, connecting and networking with other industry people and generally trying to become an expert in my field. I’m still a long way off being an expert, but I knew enough back then to write a decent cover letter and polish my manuscript to publishable standard. I also did a lot of research on which publishers might be most suitable for the style of book I had written. There’s the saying, “Luck is when opportunity meets hard work.” I think that applies to me, although I do think there was also some divine intervention as the editor herself happened to open the mail the day my submission arrived and personally read my manuscript. You can’t create a situation like that but I sure am thankful for it! My second picture book, FISH DON’T NEED SNORKELS (Autumn House, 2010) came about in a similar fashion and also resulted in another picture book contract and a junior novel contract. I think these moments came when they did because I was ready as a writer and as a person for it to happen and I’d put in the ground work. There isn’t a magic set of rules to follow, but you can do things to increase your chances of being published. I think the difference is that women tend to create the emotional environment for the home more so than men. That means that if I’m feeling drained, worn out or ’empty’ on a soul level, the entire household is affected. When my husband feels that way he can often take some time out, but as a mum there’s nowhere for me to go to recharge. I think that’s why it’s essential to find something that fills you up. For me, it’s writing and that’s why I’m happy to get up at 5am to write. I am a happier mum and a happier person when my creative self is fulfilled. I’m also thankful that my husband is supportive and will free me up occasionally to go to book launches or writing events. Even a couple of hours every few months does wonders for my energy levels. Everybody wins when mum is happy! That’s a great question. I’d like to think it’s not my ability to mother my kids, but to be honest I tend to avoid some of those really intensive parenting things that some mothers do like building a butterfly out of toothpicks. I probably take the easy option in situations like that!! I don’t let the housework go, so that’s not something that gives. I like to have my house fairly neat and tidy as I feel that the state of my house is a reflection of the state of my brain, so it needs to be organized for me to function as a writer. Perhaps I tend to invest in my writing and my online friends rather than making an effort to nurture real-life friendships. I don’t go out terribly often which is strange considering I’m such a social person. But then again, with 4 kids under 6 there’s only so many places I’d want to go! My biggest piece of advice is to find a writing time that has the least impact on the family BUT negotiate to create opportunities to write as well. For me that means the early mornings when my writing impacts no-one but myself. It also means negotiating with my husband for an afternoon off every month or so to go to an event or just sit in a coffee shop and write. I think it’s hard to balance the ‘me’ and the ‘us’. Find something that works for your family and then go for it. Life’s too short and you don’t want to die wondering!! What a wonderful practical and inspiring interview from Karen. If you want to find our more about her and her gorgeous children’s picture books, check out her website. Find out more about Fish Dont Need Snorkels. If you’ve enjoyed this interview, you can catch up with the whole series here . 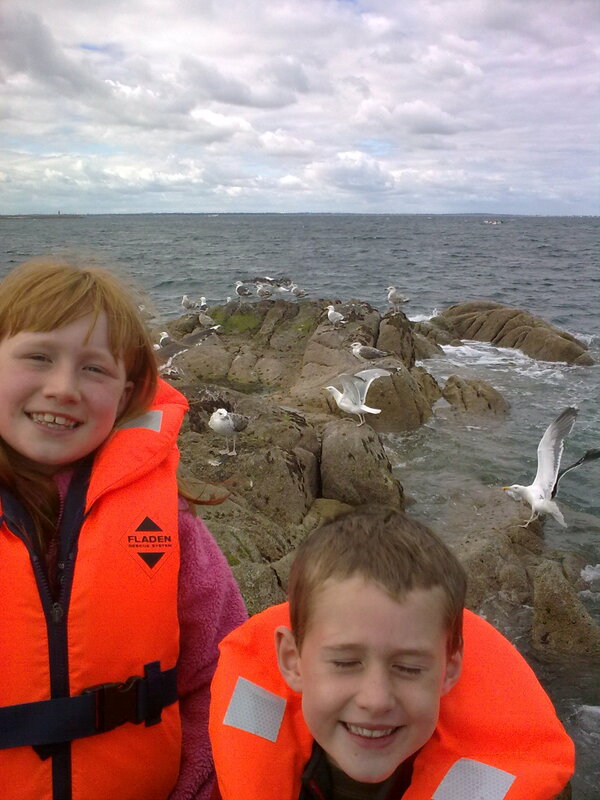 Colette Caddle lives in north county Dublin with her husband and two sons aged twelve and seven. She came to writing later in life after careers in computer programming and marketing insurance products. Colette sent out her first manuscript in 1997 and is now the bestselling and hugely popular author of eleven novels which have been translated into six languages. She has just finished her twelfth book which will be available in the autumn. Her latest book, Always on my mind is published by Simon and Schuster Ltd. She balances the solitary life of writing by engaging with others and chatting on Twitter and Facebook. Tell us how and when you started your writing career Colette, did it happen alongside the children? I started writing about 15 years ago when I was disillusioned with office life but I didn’t stick with it. I finally sent off a few chapters to Poolbeg in 1997 and on the basis of those secured a 3 book contract. My first book, Too little, Too Late was published in Ireland on Mother’s Day, 1999 when my eldest son was 3 months old. I am a morning person so would normally write all morning but with pregnancy and then a new baby, I worked when I had the energy! Ha, they’ve taught me there is no such thing as being in control when you’re a parent! They’ve taught me that when there is a moment, I must grab it. They’ve also made me realize that I should get as much done while they’re at school as possible and enjoy their childhood and company while I can. It used to be anywhere from the kitchen table, to in front of the TV, to a coffee shop to bed. Now that the boys are older – and louder! – I write more and more in my little office but until the deadline is looming, I still mostly work during school hours. Are you successful in maintaining a balance between your family and writing projects? I am very disorganised and easily distracted and no, I don’t have the balance right at all. With each book I promise myself that I will become more disciplined but 12 books later, I don’t seem to have managed that. How do the children react to your writing? They are very understanding really and also so involved in their own lives that I don’t think it impacts on them that much. I nearly always do the school runs, help with homework and do all the cooking so I am physically ‘there’ even if mentally I may be in a fictional world. They are also quite proud of me, give their opinions freely on my covers or titles, like to see their names in the acknowledgments and love it when I come into their school to give talks on creative writing. What do you find most challenging, practically, emotionally and mentally in juggling your role as a mother and writer? Emotionally? Trying to keep a steady nerve – panicking and writing do not go well together! Mentally? When there are family worries or distractions I find it harder to leave practical problems aside and immerse myself in my storyline which can be frustrating and upsetting. You’ve become a hugely popular and bestselling novelist, at what stage of family life did your success occur? My initial breakthrough into the writing world happened before children came along so staying focused was much easier. I have to say that seeing my first book on the shelf was a hugely emotional experience and making number one on the bestseller list made me feel very proud….but then the moment both my sons were placed in my arms for the first time still probably rate as my proudest, happiest moments. I think it is harder for women from a purely biological sense in that fathers have the ability to temporarily ‘switch off’ their parental button to work whereas mothers don’t seem have been equipped with that particular button – at least, this one hasn’t! Ah, now that depends on the circumstances. If all is well with the children and my deadline is looming, then they are left more to their own devices than I think they should be. If, however, they need me, the book is forgotten. Again, for me, balance is simply not always possible and I try to just accept that there are times when either my work or my family will suffer; I am only human. To all would be writers: Simply to write every day, even if it’s only a little. I set myself target word counts that vary depending on the stage I’m at and that helps. I also, when I am finding it hard going, promise myself treats: a cuppa after 500 words; 10 minutes on Twitter or FaceBook after 1,000 etc. Another trick that works very well for me is that I try to finish each day in the middle of paragraph so there is no new blank page to be faced the next morning. To parents: There may be times when you can’t write because your children are sick or you’ve been up all night and can barely focus BU you can always think and observe….never forget that! Huge thanks to Colette for taking the time to answer these questions, especially as she has been so hard at work on her latest novel. 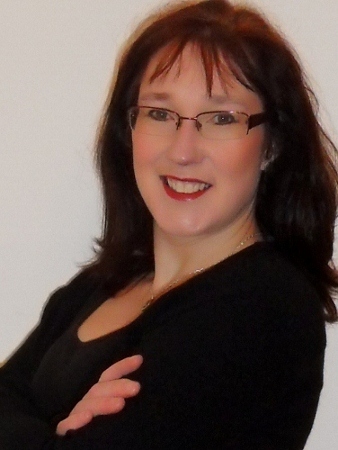 To find out more about Colette and her books, visit her website. She would also love to hear from you on Twitter and Facebook. 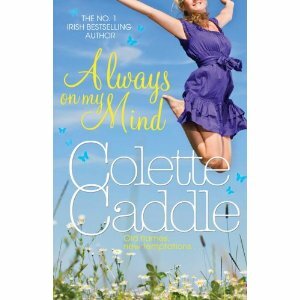 Colette’s latest book ‘Always on my Mind’ is available on Amazon and don’t forget to keep an eye out for her next book in the Autumn. If you enjoyed this interview, read more mother writer interviews here. 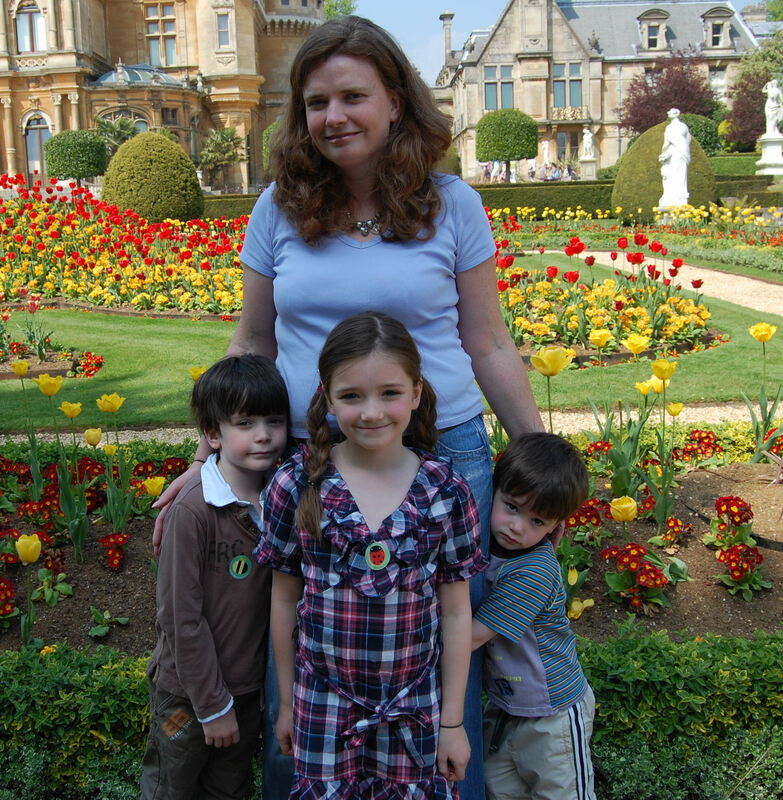 REBECCA EMIN lives in Oxfordshire, England, with her husband and three small children. Her first novel for 8-12 year olds will be published later this year, and she is currently working on her second novel. 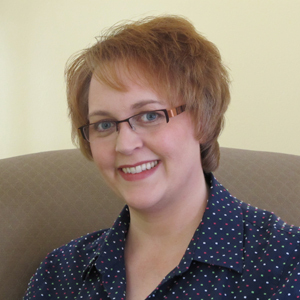 Rebecca enjoys writing flash fiction and short stories and is an author for Ether Books. I have a daughter who is 8 and sons aged 6 and 3. I also have a 15 year old step daughter. She lives with her mum but I have known her since she was 2, so she feels like part of our family. When did you start writing and what do you write? I always wrote stories for fun, and dreadful teenage angst poems, but decided to try and write a novel in 2009, and that is when writing became something more serious for me. Since then I have developed an interest in writing flash fiction and short stories. I am pretty sure that I will never go back to poetry! As I had my children before trying to develop my writing career, writing hasn’t had a sudden impact on an established career for me. As my children are getting older, I am very slowly finding my writing easier to fit in with our routines. The thing I find really difficult is the school holidays as I try and tell myself to put the writing on hold but sometimes my characters are not that obliging so I feel I have to write. This is hard as I find interruptions quite difficult to deal with when I am engrossed in a story. The positive that has come from having children is that they can read my work when I write children’s stories. It is wonderful to see them reading something and then smile and say they love it. If I am organized, I take my laptop with me on the school run and go straight to my favourite writing spot which is a café right near my son’s pre-school. They do have WiFi there but I have deliberately not asked for access, as I find being unable to use the internet means that I write a lot more, and also being away from my house, I can more easily ignore the chores that are all around me. I write enough to make me feel satisfied for the day and then go home to do my other tasks more cheerfully. However, it’s being organized enough to take the laptop with me. It’s been a while… so I am often at my kitchen table instead, and I never get as many words written there. Is it possible to maintain a balance on a daily basis or do you find yourself readjusting focus depending on your projects? I readjust constantly. I tend to fit my writing into the time that my children are all occupied elsewhere, as I can’t immerse myself in my writing with constant interruption. As a result it varies day to day as my 3 year old is not at pre-school fulltime. My 6 year old son is very excited about it, and always wants to read my children’s stories. My 8 year old gets a bit jealous, so I tend not to do much writing related activity when she is in the house. What do you find most challenging in juggling your role as a mother and your writing? GUILT. I feel guilty that I am not gloriously happy to “simply” be a mother and that I feel that I have to write to feel fulfilled. I feel guilty that the house is not cleaner and the laundry mountain has put down roots. But mostly I feel guilty when other people suggest that perhaps my time would be better of spent doing other things, ie that my family is “more important”. It is a difficult thing to balance. You’ve made breakthroughs, such as your stories appearing in several anthologies, your popular short story publications through Ether books and finding a publisher for your children’s novel, why do you think these successes occured when they did? All of my breakthroughs have happened very recently, which is very exciting and somewhat overwhelming at the same time. It’s wonderful to have stories published and my novel accepted for publication, but I can honestly say my proudest moments are when someone gets in touch with me to say they have read something of mine and enjoyed it. These are the highlights for me. I can say without doubt that all of my writing successes have been helped along by social networking on Twitter and Facebook, as well as blogging. It is incredible how supportive and helpful people can be when they have similar interests, and I have made some great connections with people who have had a huge impact on me both as a writer and in general. I can only speak from my own experience, but in our house I find getting the balance difficult whereas my husband’s role is more defined. Because I am at home full time, it is naturally expected that I will do the majority of the tasks involved with running a family. The challenge for me is to fit the admin for our company and my writing into my child-free hours and still manage to keep the domestic side of things afloat. There never seem to be enough hours in the day! What suggestions do you have for mothers or indeed parents who want to write or further a writing career. Try not to get too bogged down in worrying about the amount of time you don’t have, and instead use the time that is available wisely. Also, accept every offer of help that you get! Thanks for sharing your experiences here on Head above Water, Rebecca. Congratulations on your publication news so far and we wish you continued writing successes into the future! Here are anthologies in which her work has recently appeared, many of which are in aid of really worthwhile charities such as the UK National Autism Society and the Red Cross assistance for the people affected by floods in Pakistan. Read about Rebecca’s novel New Beginnings for children that will be published soon by Punked Books. Vanessa O’Loughlin lives near Dublin. 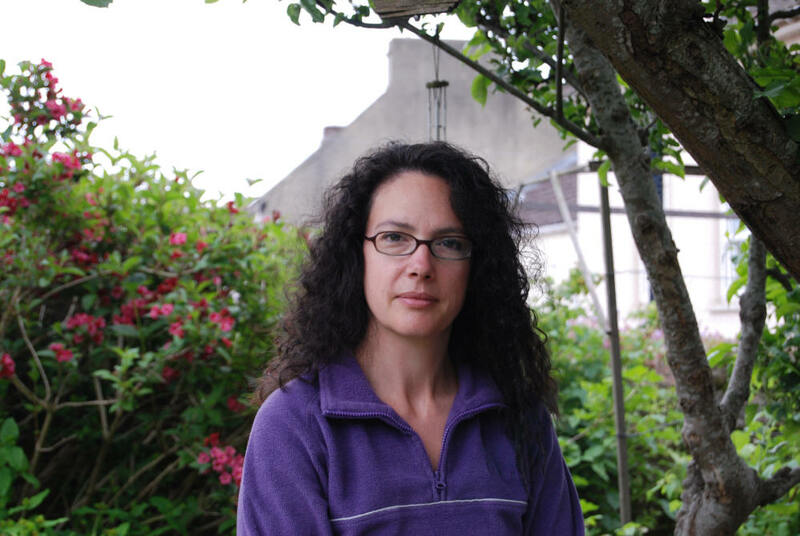 She is the founder of writing.ie the new national Irish writing resource. Vanessa started writing fiction in 1999. In 2006 Vanessa established Inkwell Writers Workshops which provides writing workshops and critiquing services to authors. She is PRO and Newsletter editor for Irish Pen. 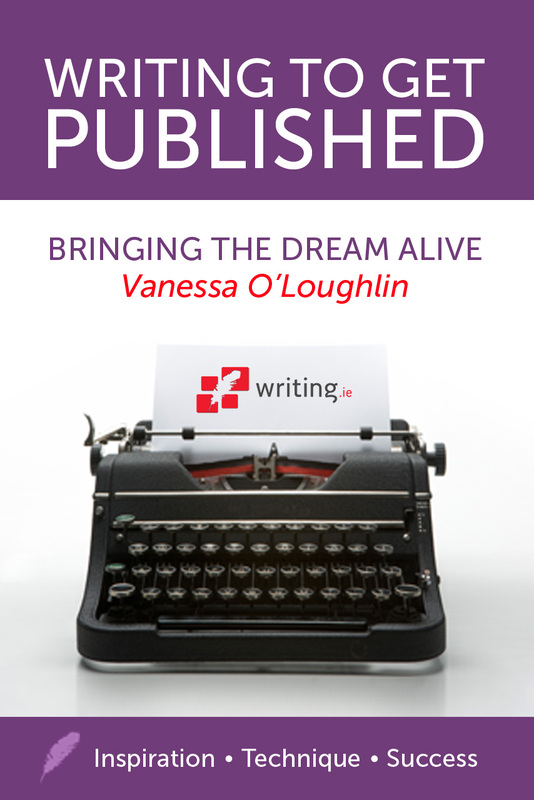 Vanessa has had several short stories published and won competitions with RTE TV, Poolbeg, RTE Radio and Mills and Boon. One of her short stories Every Second Counts was included in the best selling Mums the Word Anthology that featured 32 of Ireland’s top women writers. In 2010 she compiled The Big Book of Hope with Hazel Larkin and The Hope Foundation. 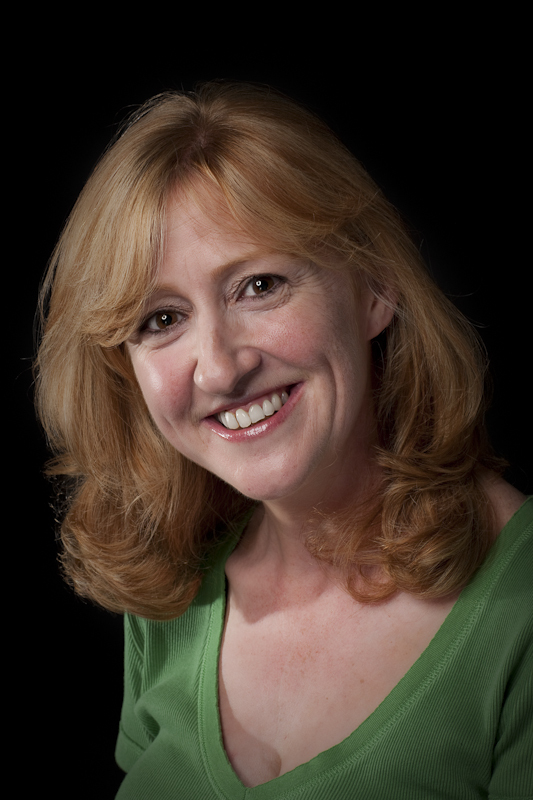 Vanessa is represented by Sheila Crowley at Curtis Brown London, and writes crime as Sam Blake. Tell us about your children Vanessa. Sophie is 10 years old, and an aspiring writer, Sam is 6 and full of beans! In 1999, I had a full time job in Event Management but no children. My husband went sailing across the Atlantic for 8 weeks. So at that point I had a lot of free time and an idea burning so I started to write. I established a writing routine right at the very beginning, writing every day. In fact when the bug bit, I really couldn’t stop! Later, founding Inkwell Writers grew out of my need to learn more and improve my own writing – and writing.ie has grown out of Inkwell. The only problem now is fitting the writing in! The children are brilliant, they definitely don’t get as much attention as they deserve because I’m juggling everything, but they’ve grown up with it, so it’s the norm for them (that’s me trying to persuade myself). At this second, the 6 year old is shouting in one ear that he wants to go to the park, and the 10yo is in the other ear looking for a stapler. It’s Easter and even on a Sunday morning I’m trying to get everything done, so we can all go out in the afternoon! It’s all about scheduling and getting the most out of my time. I work when they are in school, and in the evenings (and at weekends). If my husband can do the school run in the morning I gain an hour a day which is always fabulous! I don’t have time to read the paper or watch much TV (usually have my laptop on my knee), but I do LOVE twitter. My current goal is to write for 30 mins every morning BEFORE I do anything. If I open my email or twitter first I’m lost. I find I have to react with the circumstances, a lot of what I do is online and I try to keep my mornings clear to work or write but recently with the development of writing.ie. I’ve been having a lot of meetings that eat into my non-child time and mean I have to make that time up somewhere else. Every day is different! The 6 year old does get very fed up when I’m on the computer and can be very disruptive. He also yells when I’m on the phone! I can only really write when they aren’t around as I get constantly interrupted. What do you find most challenging in juggling your role as a mother, your writing and other work? I don’t get any me time, or nearly enough writing time at the moment, but that should settle down when I get some routines in place with writing.ie. You’ve made a full-time career out of your own writing and also out of helping others move towards publication. How did you do it? I believe that you create your own opportunities by being open to ideas and thinking laterally. I am someone who will always push an opportunity as far as I can go with it rather than accept defeat early on. I’m a positive thinker and don’t give up easily! I think you have to create your own momentum, and open as many options as possible. I think women have a much greater challenge because generally the child rearing bit falls to them – even if they are getting loads of help from their partners they are still the Managing Director of that end of the operation. If they have a career and are writing too, they have to do a lot of juggling. Fortunately God gave us the ability to multi task and manage our time well, although I’m not sure multi tasking is the ideal scenario (my burnt sausages are testimony to that). Mentally women have a huge amount on their plate running a household and a family as well as other activities. Go for it! Writing is one of the most wonderful things in the world, it releases you mentally from the here and now and uses a whole area of your brain that doesn’t deal with housework or schoolruns, an area that’s available for exercise and needs it! The key is that you have to write because you love writing, not because you want to make money from it (which you probably won’t). Having said that, today with changes in the publishing industry as a whole, writers have chances of publication that they never had before – through ePublishing, print on demand and the many online publications seeking work. It’s an exciting time to be a writer. Thanks to Vanessa for filling us in on her busy and diverse writing career. Her positive attitude is inspirational! Writing.ie is a new, comprehensive national writing resource with advice, interviews, competitions and forums for writers. Inkwell provide critiquing, editing and manuscript assessment services and a free newsletter. They also run one day intensive fiction writers workshops facilitated by best selling authors and have directly assisted over 50 authors to get published. Blood Red Ink is Vanessa’s crime writing blog under the pen name Sam Blake.